My Bachleor Degree at Yasar Unv. Yasar University is one of the best universities in the Izmir, have incubation center and support entrepreneurship. Also the accommodation options and the location of the university is suitable. University is just in front of the Ban. When I was studying, it was a small campus with many students packed into it. Recently new buildings are constructed and campus got larger. In future, I believe more area will be added to university. With Yasar developing, its area got developed. There were only a few cafes for students to spend time but now there are many activity areas as more living spaces are being built. Concerning education, it is the second biggest private university in Izmir and new lecturers are transferred to the school. Better lecturers build more quality education programs. I would say I am an average student but prospective students are luckier for it. I have studied at Yasar University for 5 years between 2007 to 2012 in Bolge Campus. It was really big and technological that always continues innovation. My lectures also high skill Professors all four sides of the worlds. As we can say that international lecturers are working at Yasar University. On the other hand, I have gotten worst friendship I have ever seen. 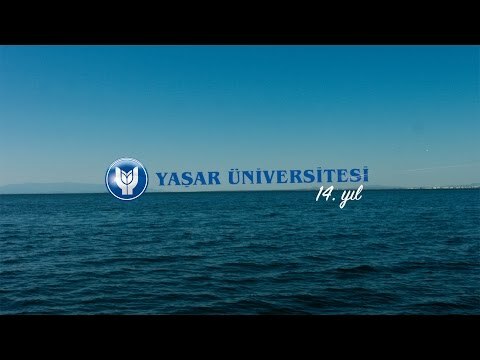 Yasar University is the second oldest private school in Izmir. Its area is getting bigger as demand is increasing. New faculties are added recently. The International business program provides opportunities in Izmir province about logistic and trade companies. School’s founder company is one of the biggest holding and they choose successful students after their graduation. Incoming years, the university will improve itself and it will be one of the most reputable university in Turkey. I graduated from Yasar 5 years ago, but still I miss the days that i experienced at the university, Yasar is a small university but it is very modern and it locates in very bustling place that surrounded by so many restaurants, shopping malls, bars and cafes. Academicians are very qualified and helpful. Yasar has many contacts with the European univerties, projects, programmes. During your education you can take part in social clubs. Also transportation is very easy to the campus. According to me, being a student at Yasar is always luck. The campus is pretty small but located in a good place that surrounded with a lot of various kind of restaurants, coffee shops, and bars. Beside that transportation is very easy to campus. Teachers have good career, and ready to help you during office hours. Exam weeks can be complicated since they remove it. Besides you can join the social clubs according to your interests. it is a beautiful university. teachers are perfect and they have a good career. I can find different hobbies and useful activities. education is good but they have small problems about exam operations. they have such a lovely campus but its a bit small. If you're the owner or representative of Yasar University, you can claim this University and build a better profile. Interested in studying at Yasar University?